Arcadia Cottage comprises a delightful detached period cottage, believed to date from the Victorian period with brick and rendered elevations under a pitched tiled roof and benefiting from having been refurbished in the last eight years, by the current owners, including double glazing to the majority of windows, very smart new kitchen/dining area, oak engineered flooring to ground floor and beautifully decorated throughout. 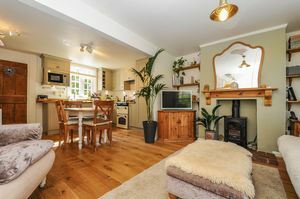 Briefly the accommodation includes: entrance lobby, living room with fireplace with log burner set on brick hearth opening through to the very smart open plan country style kitchen/dining area with range of wooden units with oak work surfaces over, granite composite sink unit with drainer to side, integrated Leisure electric 4 ring hob with double oven below and extractor over, integrated Zanussi fridge/freezer, Zanussi washing machine, microwave oven, under stairs cupboard. 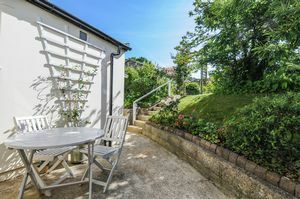 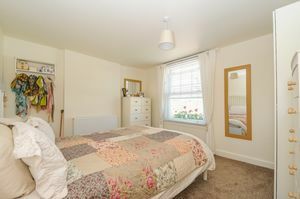 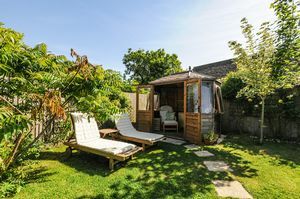 Door leading to rear lobby, with access to garden, and bath/shower room comprising smart white suite with bath with shower over, w.c., wash hand basin with vanity unit below, part tiled walls and heated towel rail. 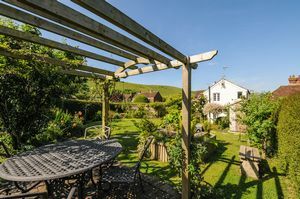 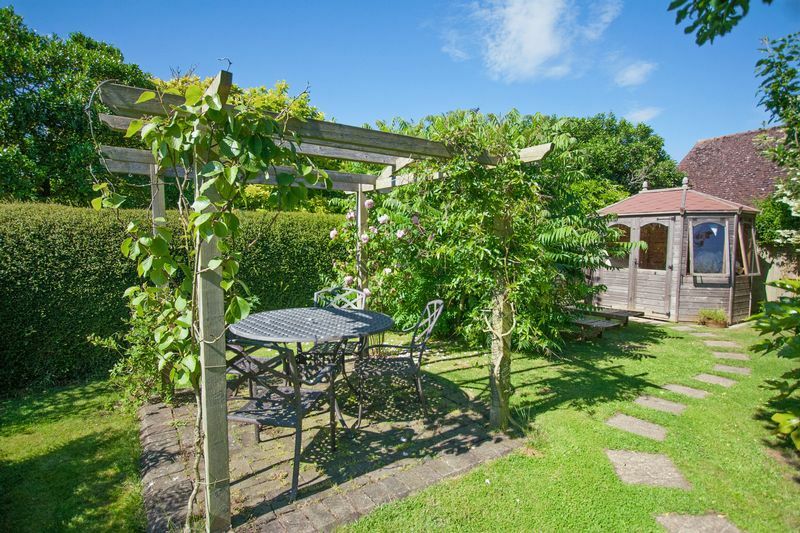 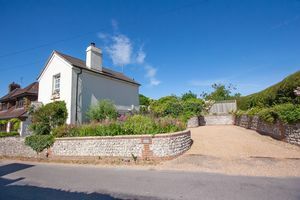 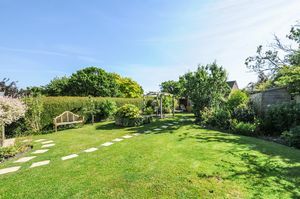 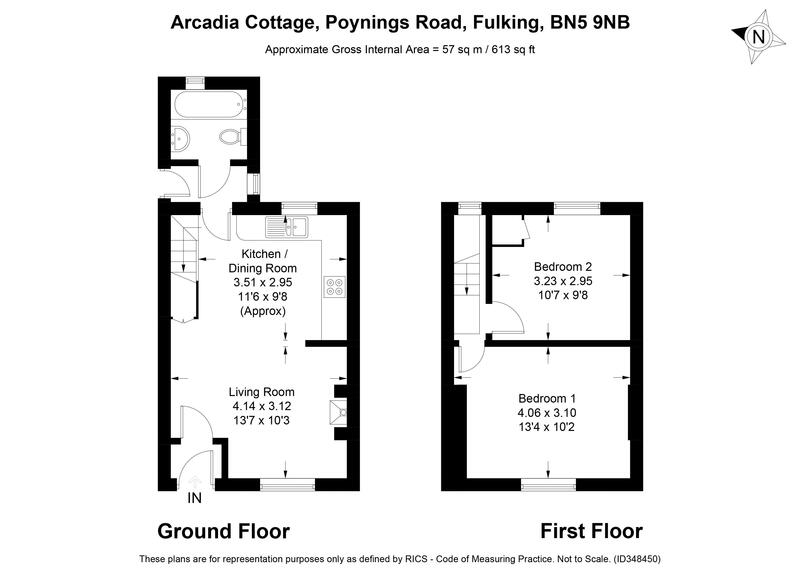 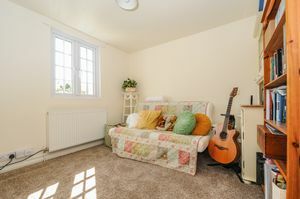 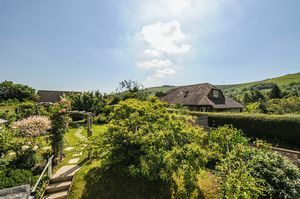 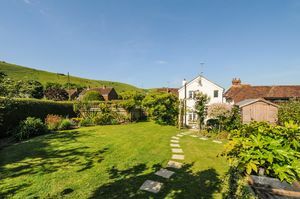 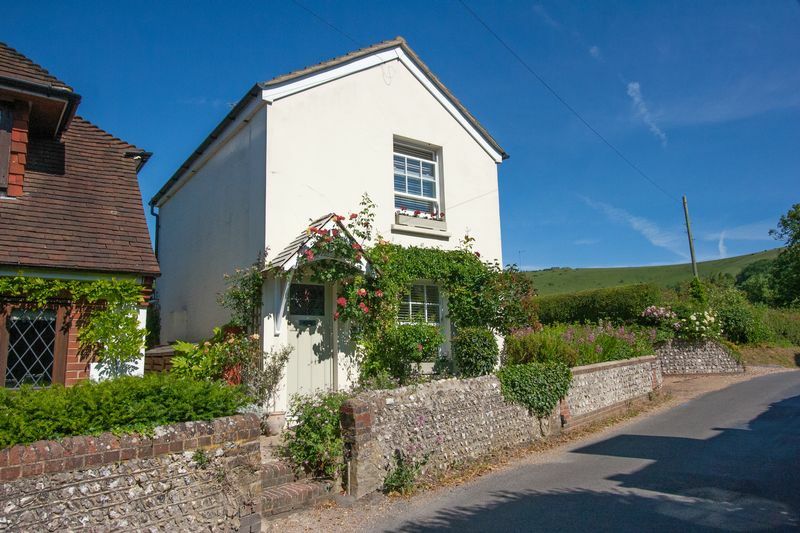 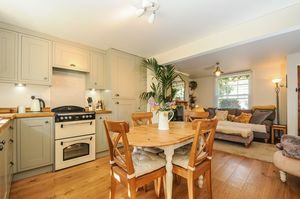 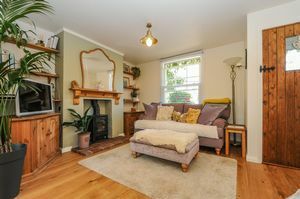 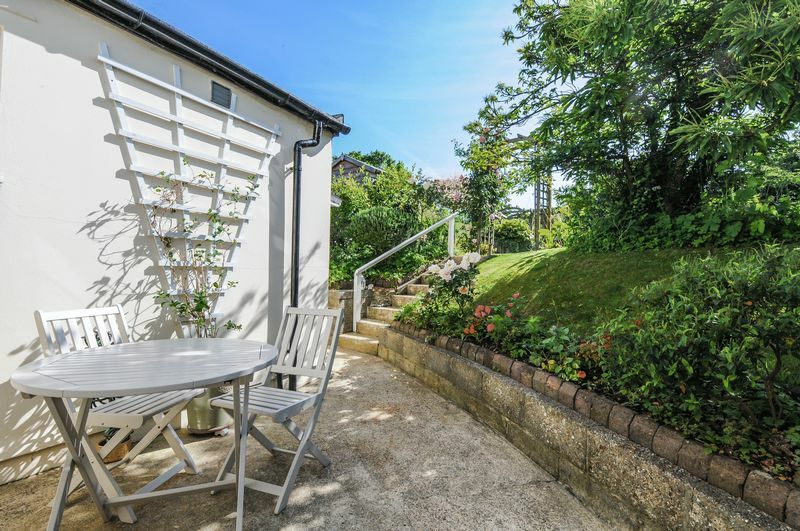 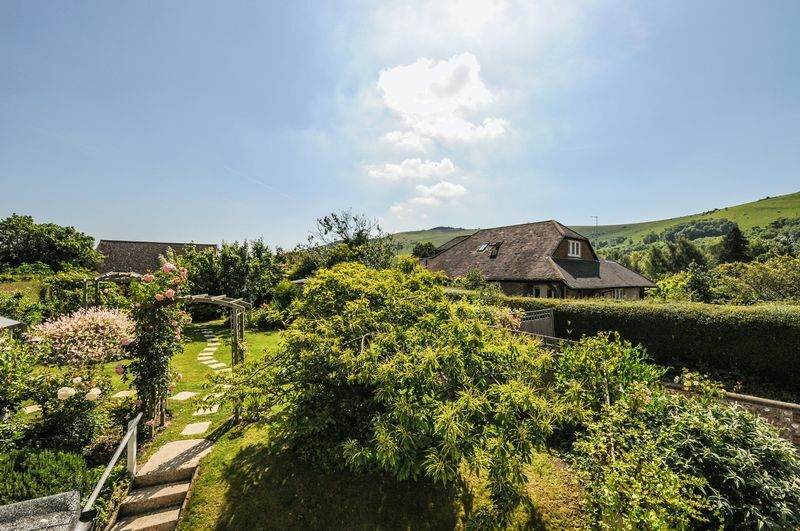 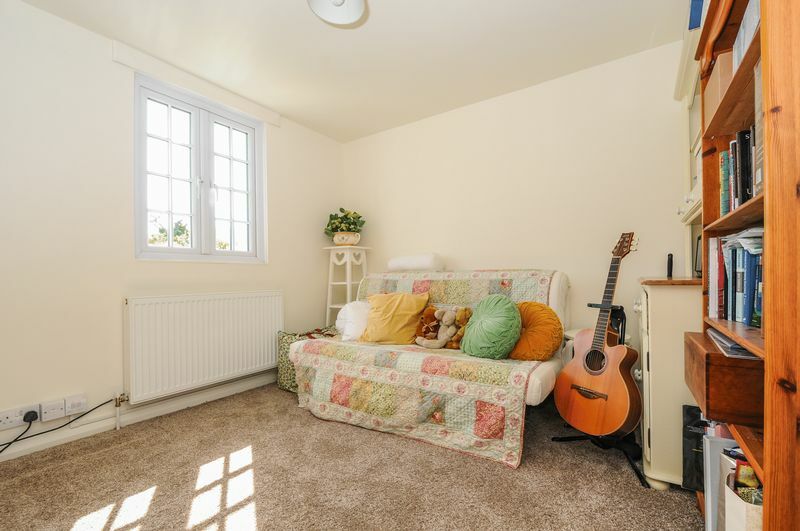 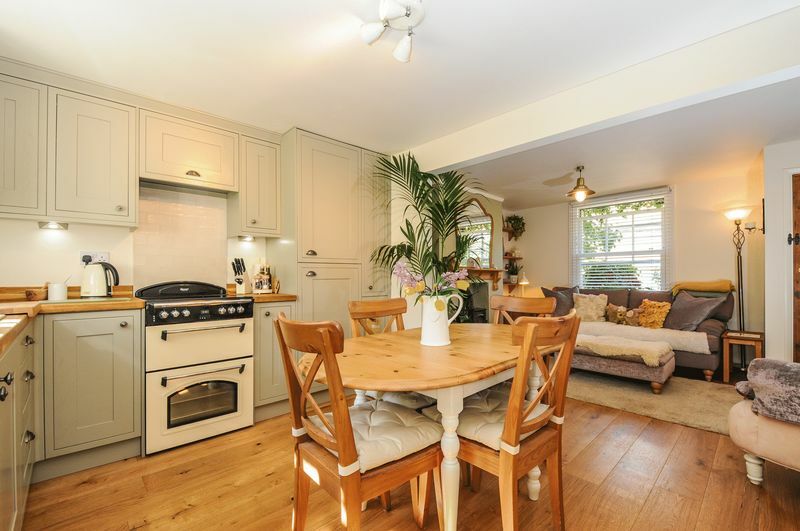 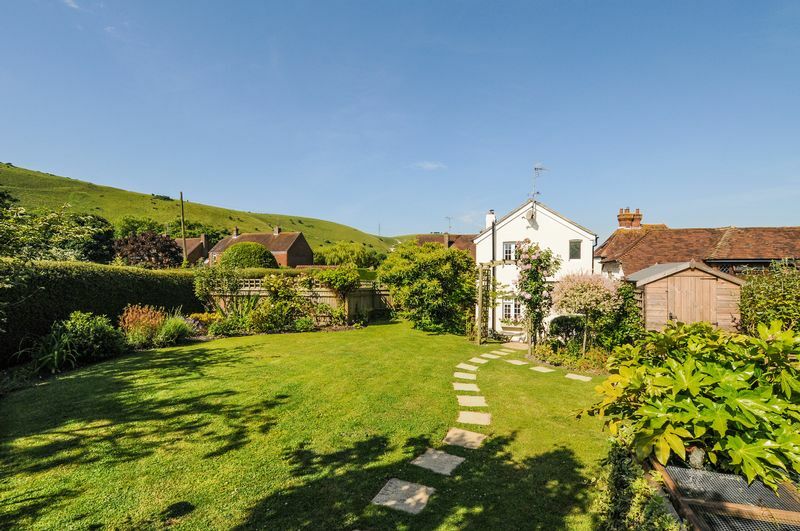 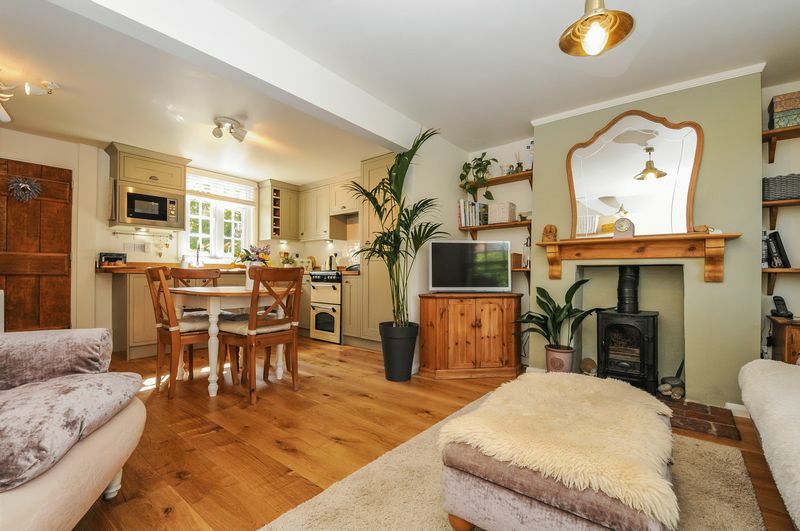 On the first floor, landing with attractive feature pine stripped partition wall and pine stripped doors to: master bedroom with lovely outlook onto village and to South Downs beyond, further double bedroom with lovely views over rear garden and to the South Downs beyond.